Recently I went to the Malevich exhibition at the Tate Modern. I was vaguely aware of him as an avant-garde Russian artist (turns out more Polish-Ukrainian) and his black square paintings which caused such a fuss, but I didn’t know much else about him. I’m glad I went to the exhibition. It started off with some of his early works, when he was an art student in Ukraine and my initial thoughts were “oh, these aren’t that impressive” because I was under the impression they were from the 20s and were copies of other artist’s styles, then when I read the labels though I realised the paintings had been produced between 1905 and 1910 contemporary with everything that was going on in the rest of Europe. Considering that Russia had only abolished feudalism 40 or so years earlier and the Russian Empire was mostly pre-industrial at the time outside a few cities, that’s pretty impressive. In the 20s, Malevich developed his own style, called Suprematism, and also branched out into graphic and costume design. I particularly liked this film they were showing of a modern ballet he designed for (the film is of an 80s performance in English using the same designs). You can see where Klaus Nomi got some inspiration from. I’m not sure I could quite watch all the thing though. The 20s was also when he did his infamous Black Square paintings. I understood why people would find it new and startling at the time, but I didn’t know the context of why they found it shocking. The Tate exhibition had a recreation of the original exhibition hanging. In Russia, it’s traditional to hang a gilded icon at an angle in a corner of the room. 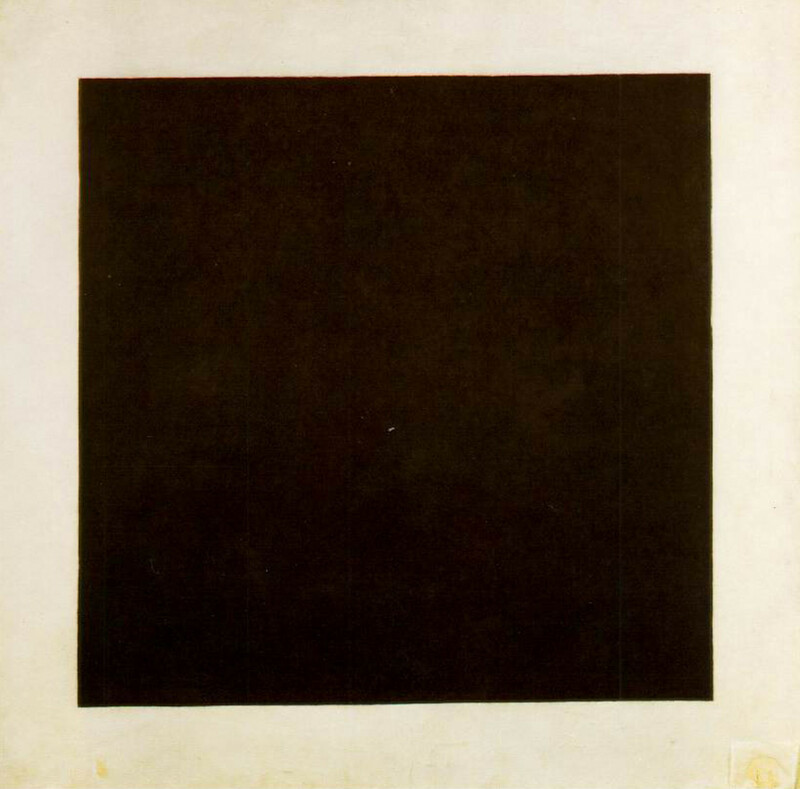 In Malevich’s exhibition there was just a big stark black square instead of a saint. You could see why it shocked people in a very traditionally religious country. Even as a non-religious person who doesn’t expect to see saints hung up everywhere, the black square in the corner of the room was very striking. There was also a small practice version on display, testing out the design on a piece of wood covered in gesso. Where it was worn and grubby it looked really creepy, like it was a piece of plaster chipped away from inside a cupboard in an old cottage, hinting at dark secrets. Maybe I have an overactive imagination. I also enjoyed the teaching materials Malevich produced for a visit to Germany. I wonder how his name came across there. Maler means painter in German, it would be like having a visit in the UK from a famous Russian painter called Paintovsky. After the revolution, and once the Soviet regime’s enthusiasm for avant-garde art had waned with Stalin coming to power, his works were banned from being shown, and with the exception of one of his black squares being hung over his body at his wake after his death from cancer in 1935 were rarely seen until the Berlin Wall came down.